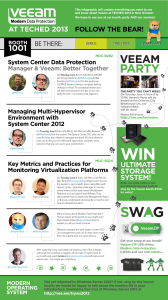 With TechEd North America in less than 2 weeks we are working hard to deliver you some top content! If you want to know all the major things that we are involved in then you definitively need to check out our created infograph! 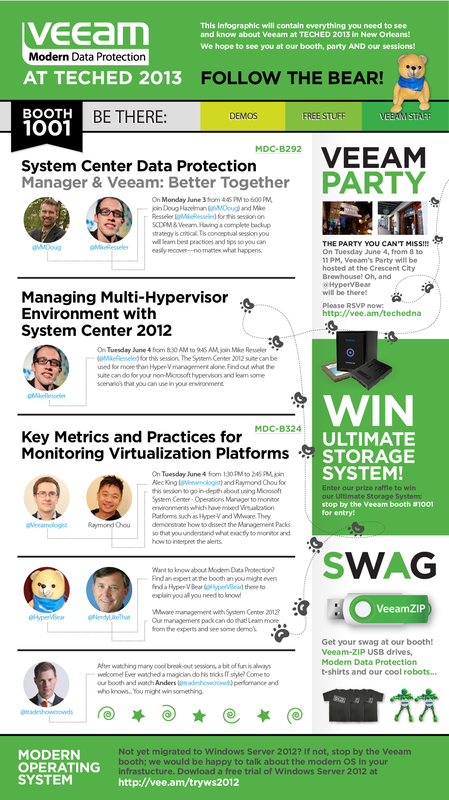 The infographic summarizes all the great stuff that we present to you at TechEd North America. From 3 break-out sessions, experts at our booth,, an awesome party that we will be hosting. And I even didn't mention the great give-aways we will be having at our booth! From funky robots to flashy USB-drives and nice looking t-shirts. And don't forget our nice price-raffle! You could win the ultimate storage system for your home-lab!